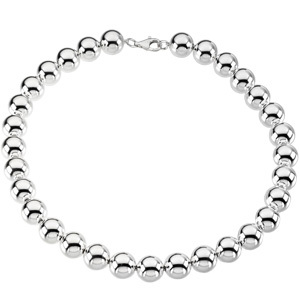 Wide sterling silver holow bead necklace has a fancy lobster clasp. Length: 18in. Bead width: 14mm. Weight: 77.49 grams.